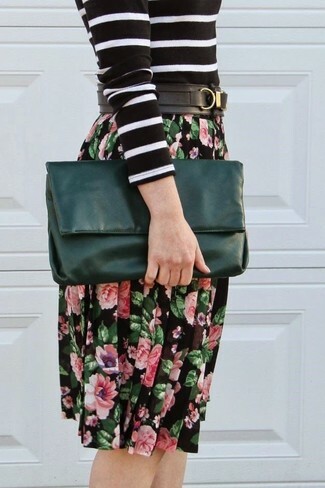 If you're in search of a casual yet chic outfit, go for a black and white horizontal striped crew-neck sweater and a black floral midi skirt. Both garments are totally comfy and will look fabulous paired together. We're all outfiting for comfort when it comes to dressing up, and this combination of a Twin-Set heat motif long jumper and a grey tweed mini skirt is a good illustration of that. 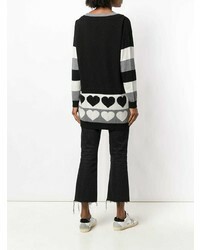 If you're scouting for a casual yet chic ensemble, rock a Twin-Set heat motif long jumper with grey wool skinny pants. Both items are totally comfy and will look fabulous together. Go for a pair of black leather pumps to va-va-voom your outfit. 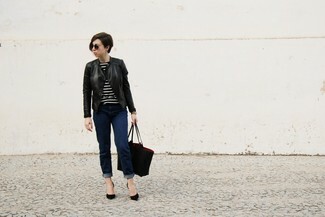 If you're on a mission for a casual yet chic ensemble, go for a Twin-Set heat motif long jumper and navy skinny jeans. Both garments are totally comfy and will look fabulous together. 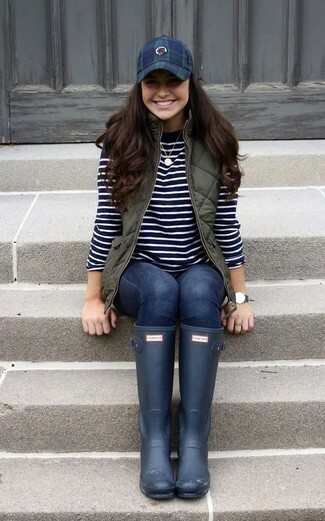 Take your ensemble into a sportier direction with navy rain boots. If you're scouting for a casual yet stylish ensemble, make a Twin-Set heat motif long jumper from farfetch.com and light blue flare jeans your outfit choice. Both garments are totally comfy and will look fabulous paired together. If you're hunting for a casual yet totally chic look, consider pairing a Twin-Set heat motif long jumper with black leather skinny pants. Both items are totally comfy and will look fabulous paired together. Take your look into a sportier direction with navy low top sneakers. 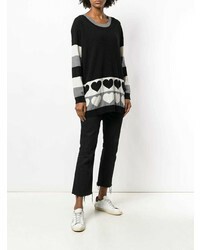 If you enjoy a more casual approach to fashion, why not make a Twin-Set heat motif long jumper from farfetch.com and navy jeans your outfit choice? Sporting a pair of black suede pumps is a simple way to add extra flair to your ensemble. 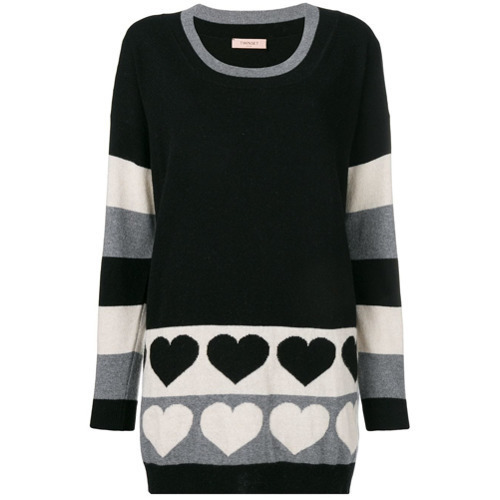 If you're on the lookout for a casual yet stylish outfit, wear a Twin-Set heat motif long jumper from farfetch.com with a blue denim button skirt. Both items are totally comfy and will look fabulous together. When it comes to shoes, this ensemble pairs wonderfully with black leather ballerina shoes. 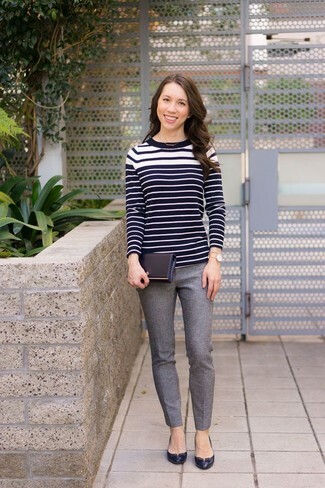 If you're in search of a casual yet absolutely chic look, pair a black and white horizontal striped crew-neck sweater with a black leather button skirt. Both garments are totally comfy and will look fabulous together. You could perhaps get a little creative in the footwear department and dress up your outfit with black studded leather ankle boots.